DO YOU WANT TO OWN A DOVES FRANCHISE? Doves Group was established in 1883 as a funeral directing organisation in Durban initially named Doves Funeral Services. Doves Group is one of the largest funeral directing companies in Southern Africa and a major role player in the progressive development of the funeral industry. Doves Group runs a national network in excess of 160 branches in all the 9 provinces, providing insurance, funeral services and related products. 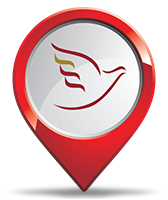 Doves Group is an authorised financial services provider with its funeral insurance underwritten by Union Life. • The leading funeral brand in South Africa. • Deliver a service that will be a celebration of life. • Create an environment where our people can grow. • Provide innovative funeral related services and products to all South African communities. • Exploit the full extent of the funeral value chain for the benefit of all our stakeholders.